The New York Times op-ed section yesterday published an opinion piece that defended Facebook from calls that it should fact-check the news as a way of combating fake stories. Putting aside the content of the piece which, hey, makes some good points about why Facebook shouldn’t be a fact-checker, let’s look at what Lessin’s connections to Facebook and Mark Zuckerberg really are. 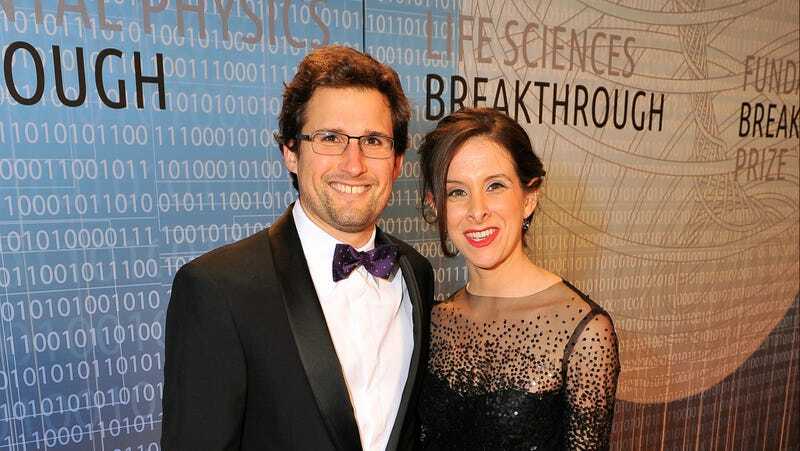 What Lessin calls her husband Sam’s “brief period” at Facebook was in fact four years in which Sam rose to Vice President of Product, one of a select circle who reported directly to Zuckerberg. Oh, did we mention that Sam and Mark were pals at Harvard and he was reportedly in the wedding party at Sam and Jessica Lessin’s nuptials? I then went to Jessica Lessin to get her take on the modest disclosure. Lessin said she believes in conflict of interest disclosures and said she would have included whatever language the editors had requested. But she also maintains that her website has written critically of Facebook many times and says she has never been an apologist for the company. That may be true, but in a piece that Spayd characterizes as one “that could easily be interpreted as largely defending Facebook,” details matter. Like the detail that Facebook dropped $20 million in Facebook shares to snap up Sam Lessin’s data storage startup drop.io in 2o1o. And the fact that those shares would skyrocket in 2012, while Lessin was still at the company, when Facebook’s market cap was $104 billion after its blockbuster initial public offering. Financial relationship is one thing. Potentially hundreds of millions of dollars, a partner with a four-year Facebook stint under his belt and a long-term friendship to the point that Zuck was in the wedding party, is something else. Sam Lessin wasn’t a low-level engineer who worked for a couple of months at Facebook. This is all besides the substance of Lessin’s article which manages to find a narrow slice of the fake news debate in which she can defend Facebook. Lessin contends that the idea that Facebook should itself be fact checking each piece of news by hiring reporters is “deeply upsetting,” and she’s totally right. Facebook shouldn’t be doing this. This would be almost impossible. The problem is that almost nobody is arguing it, except for the journalism education brain trust Poynter. If you’ve been following the debate over fake news and Facebook closely, you’d know that it centers more around Facebook building tools that block sites that spread intentionally false stories about Hillary Clinton secretly having Parkinson’s disease or the Pope endorsing Donald Trump. The idea that Facebook must hire news reporters and editors to solve the fake news problem was never a major point in the debate, and by shifting the conversation in that direction, Lessin makes Facebook’s fake news critics look as if they’re overreacting to the problem, and that there really isn’t much Facebook can do to solve it. Apart from keeping this all in mind when you read Lessin’s piece, keep it in mind when you read news startup The Information, which you can subscribe to for $400 per year here. Correction: This post originally incorrectly stated Facebook raised $104 billion from its initial public offering. Facebook’s market cap was $104 billion following its IPO.